Here is The Guardian, charging Brennan with lying about CIA spying on the Senate in 2014. What do Democrat Senators Feinstein and Wyden think of Brennan's credibility? No need to guess, just keep reading. @CIA broke into Senate computer files. Then tried to have Senate staff prosecuted. Absolutely unacceptable in a democracy. 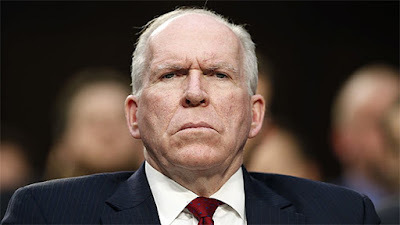 Here is Brennan, under oath, claiming no knowledge of the origins of the Steele dossier or whether it was used in a FISA application -- May 23, 2017! Credible? See also How NSA Tracks You (Bill Binney).